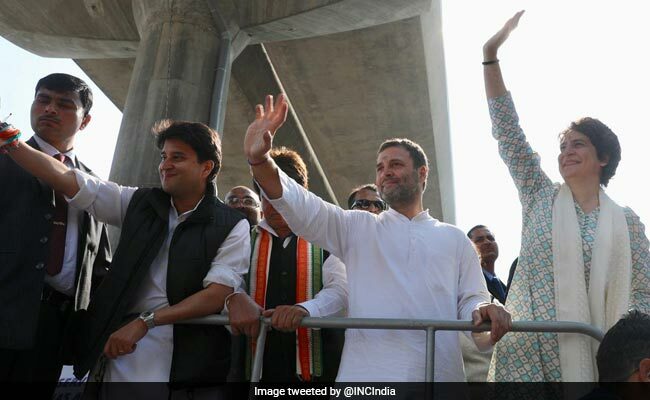 Rahul Gandhi, Priyanka Gandhi Vadra and Jyotiraditya Scindia will hold public meetings in Saharanpur, Kairana and Bijnor, said party spokesman. Congress President Rahul Gandhi will tour western Uttar Pradesh on April 8. He will be accompanied by his sister and General Secretary Priyanka Gandhi Vadra and party leader Jyotiraditya Scindia, party sources said. He will be campaigning for the first phase of the elections. The three leaders will hold public meetings in Saharanpur, Kairana and Bijnor, said party spokesman Virendra Madan. In the first phase of elections to be held on April 11, the Congress is contesting on six seats: Saharanpur, Kairana, Meerut, Ghaziabad, Gautam Buddha Nagar and Bijnor.